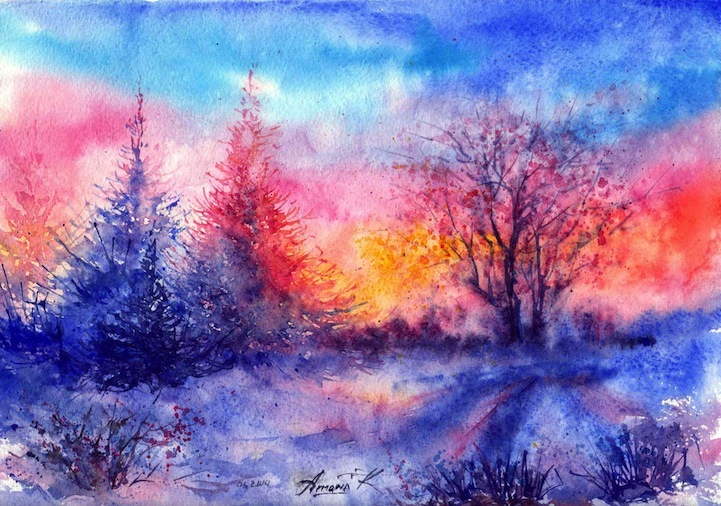 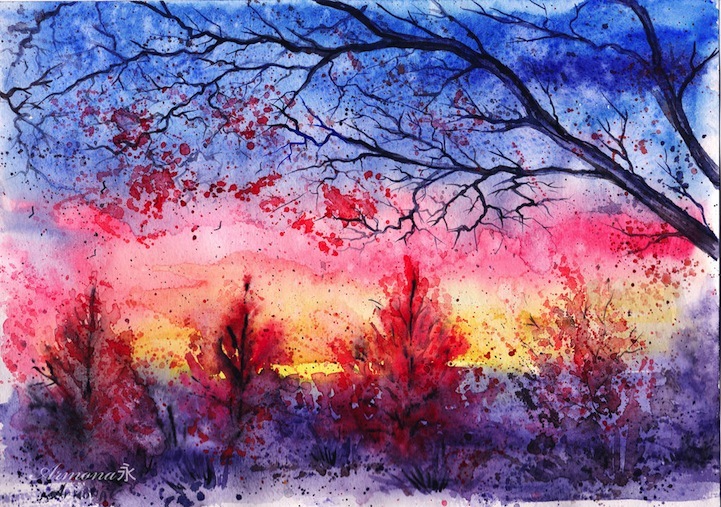 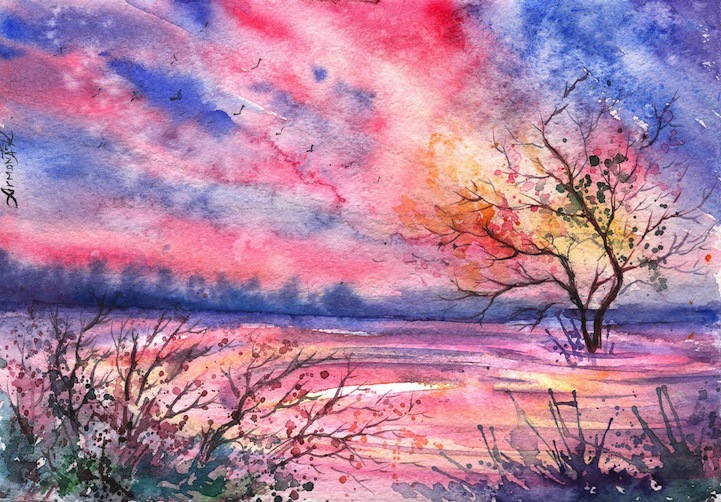 Based in Ukraine, Anna Armora created a series of beautiful watercolor paintings depicting various landscapes throughout the changing seasons. 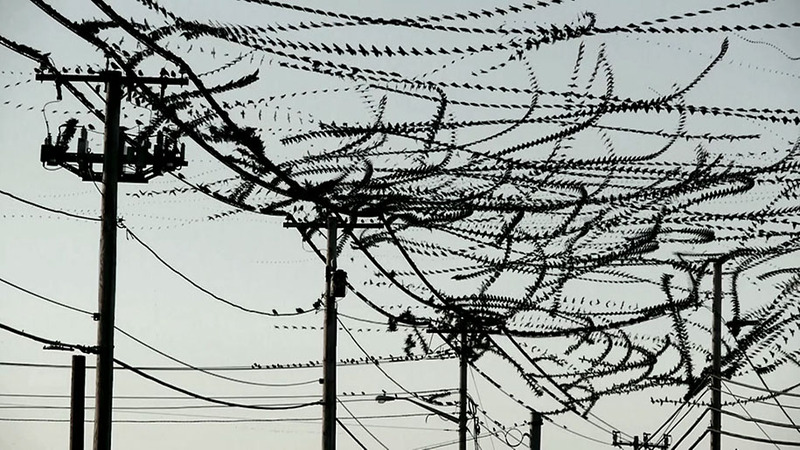 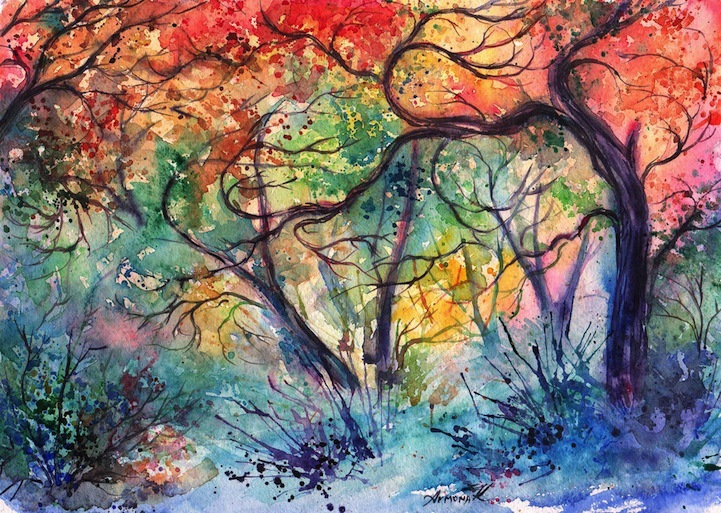 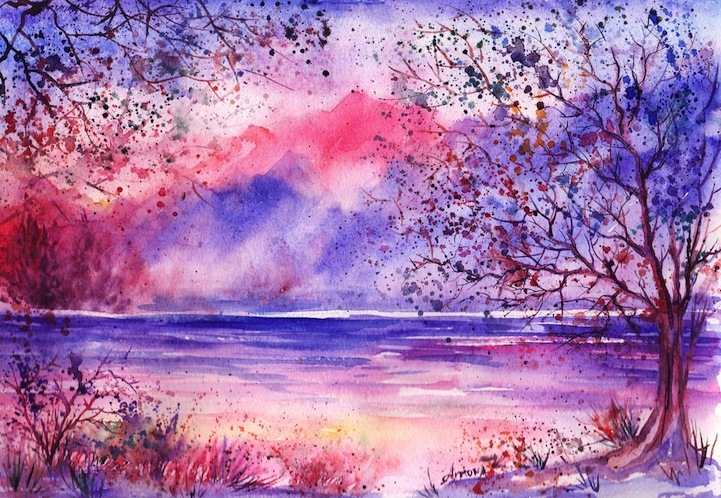 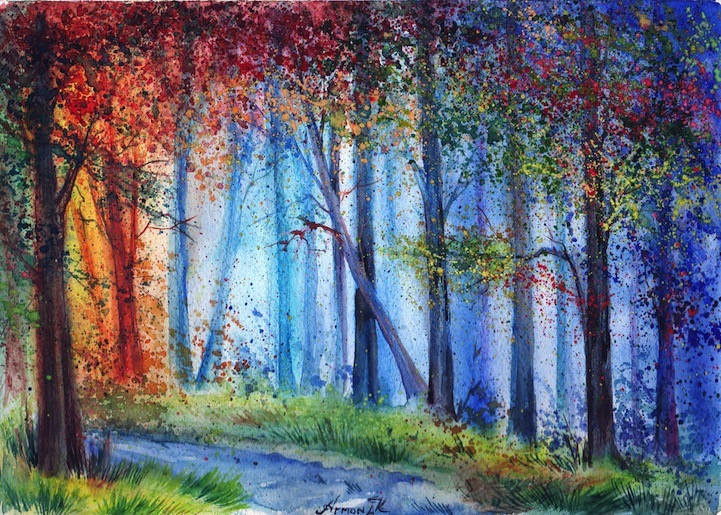 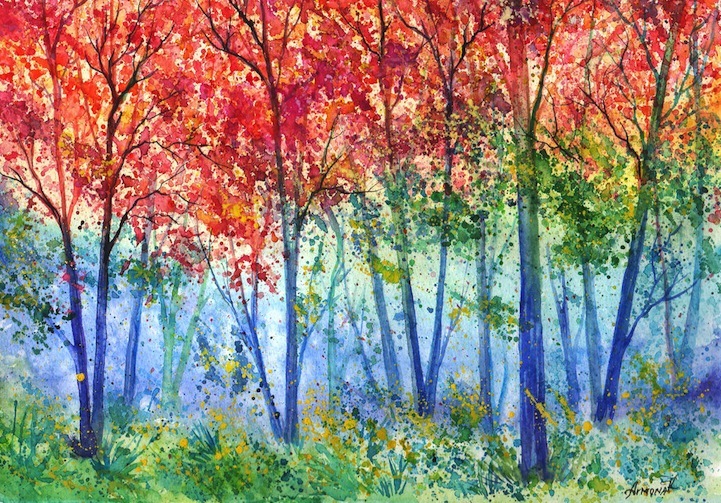 Each art piece captures in a very vibrant way the majestic beauty of nature. 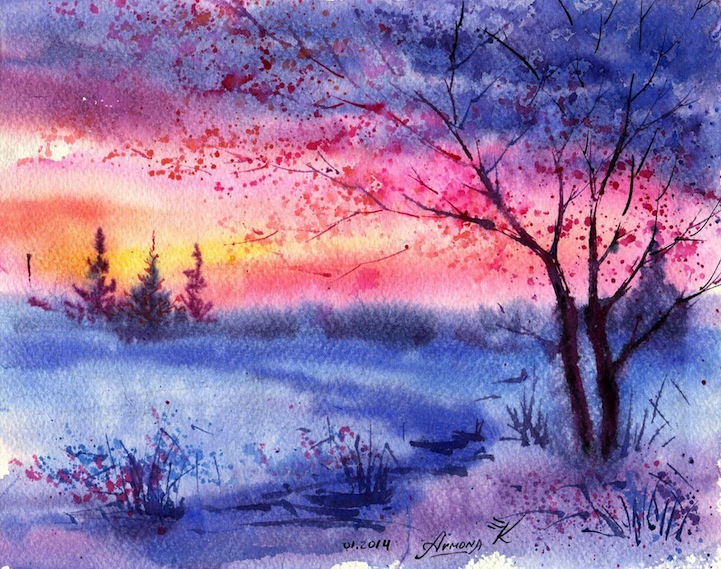 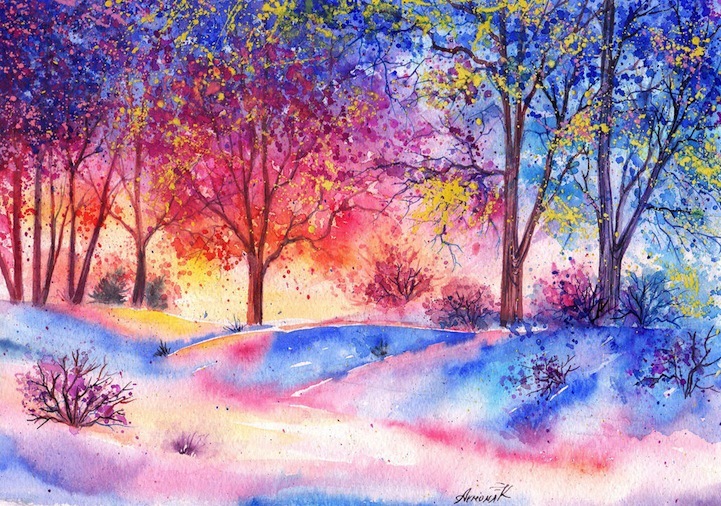 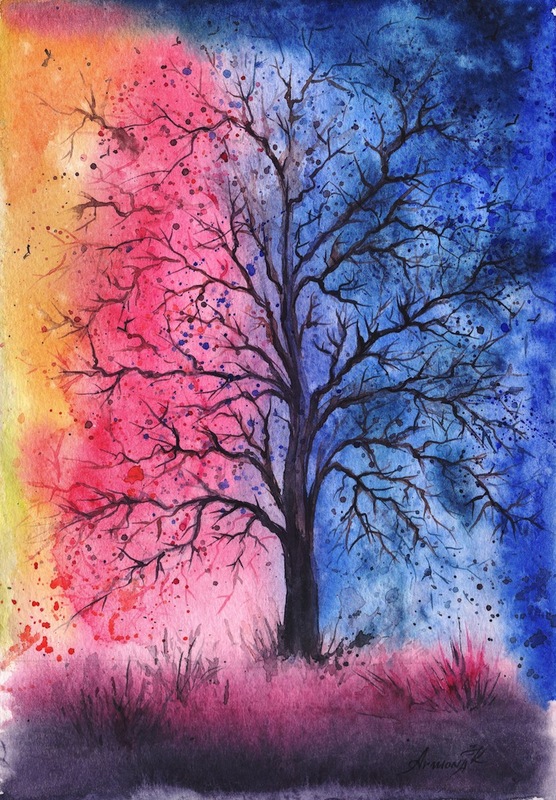 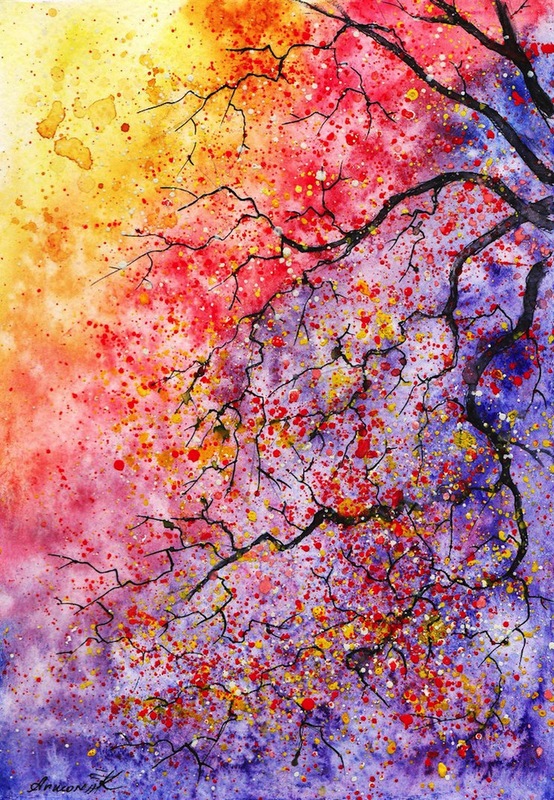 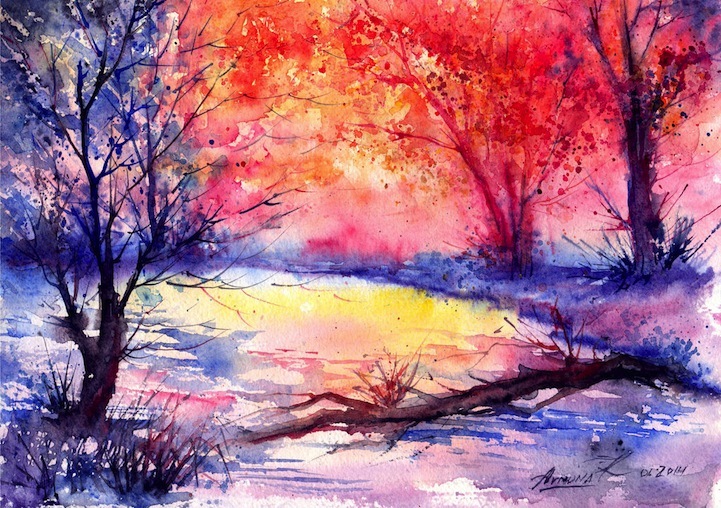 The artist chooses to use a rich spectrum of bold and bright color shades that invigorate even the barren branches of winter. 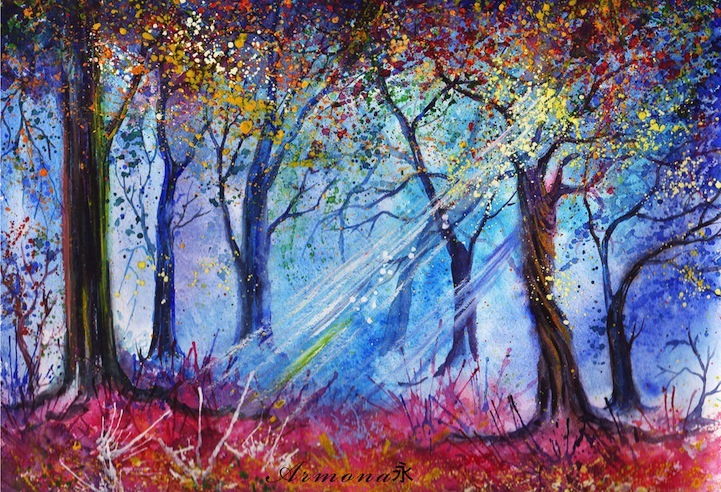 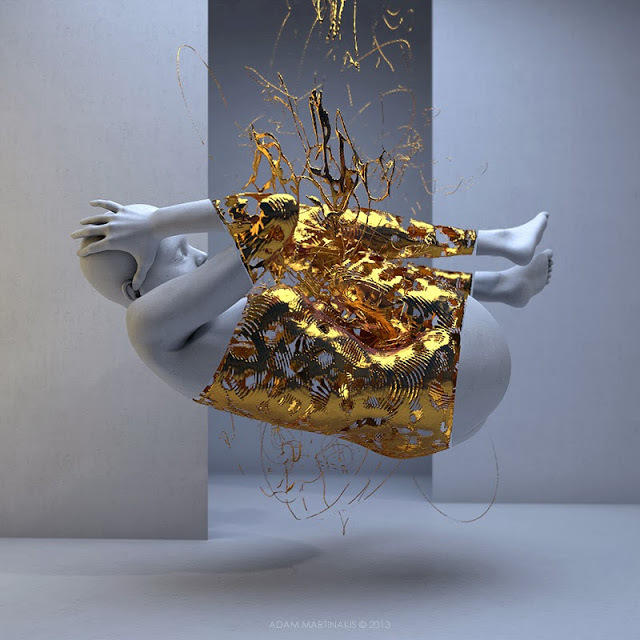 Armona’s art pieces have also a distinctive sense of movement that represent perfectly the air and light dancing through the foliage thanks to her color splashes and brushstrokes.